Update, April 19: The National Weather Service now reports that Monday's rainfall total at George Bush Airport was 9.92 inches, Houston's second rainiest day on record, next to 10.34 inches on June 26, 1989 during Tropical Storm Allison. Data from the NWS previously indicated a higher total, which would have been Houston's rainiest day on record. The discrepancy was due to an equipment malfunction at the airport where the measurements were taken, the NWS says. 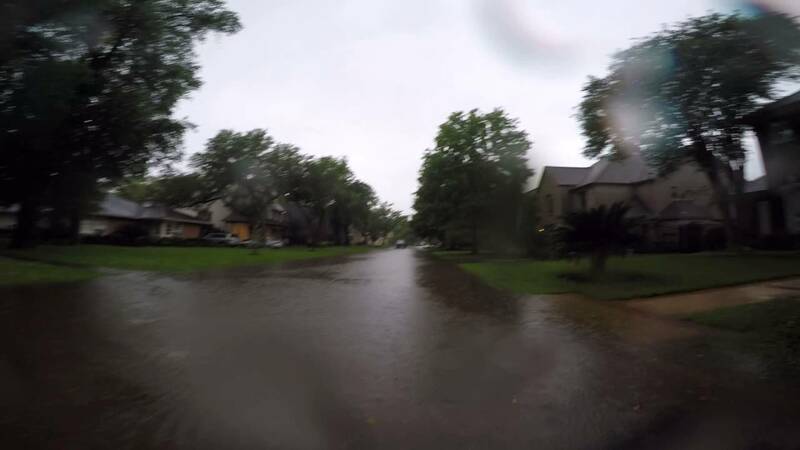 More than 21,000 square miles of southeast Texas is now in a flash flood warning, but the worst flooding seems to be occurring in western parts of the Houston metro area. More than 17 inches of rainfall has fallen in just the past 24 hours in some neighborhoods, with about 1 foot of rain coming just since midnight—already making Monday the rainiest day ever in Houston before noon. At Houston’s George Bush International Airport, 11.16 inches fell by 10 a.m., breaking the all-time daily record of 10.34 inches set on June 26, 1989. And it’s still falling. More rain is in the forecast for the next 36 hours or so. Update, 6:35 pm ET: The rain has stopped for now, with 11.75 inches measured at George Bush Airport on Monday. Officials in Harris County, where Houston is located, have declared a disaster areaand estimate at least 1,000 homes have already been flooded. More than half the watersheds in Harris County are experiencing significant flooding, with at least onecresting above its estimated 500-year flood mark, a new all-time record. Bayous and creeks have overtopped levees in some parts of Houston, and the water continues to rise, with downtown Houston also in the direct path of some of the worst floodwaters.